Philosophically, it is frequently the case that we, as Christians, acknowledge that — without denying the fullness of God’s revelation in Christ nor the necessity of salvation through Jesus’ Name alone — other philosophies and religions are able, through their God-given reason and general revelation, to come upon truths. God being everywhere is part of the cause of the similarities between our faith and others. Humans being the same everywhere is also part of it. This could also be the case in terms of art and the religious imagination. 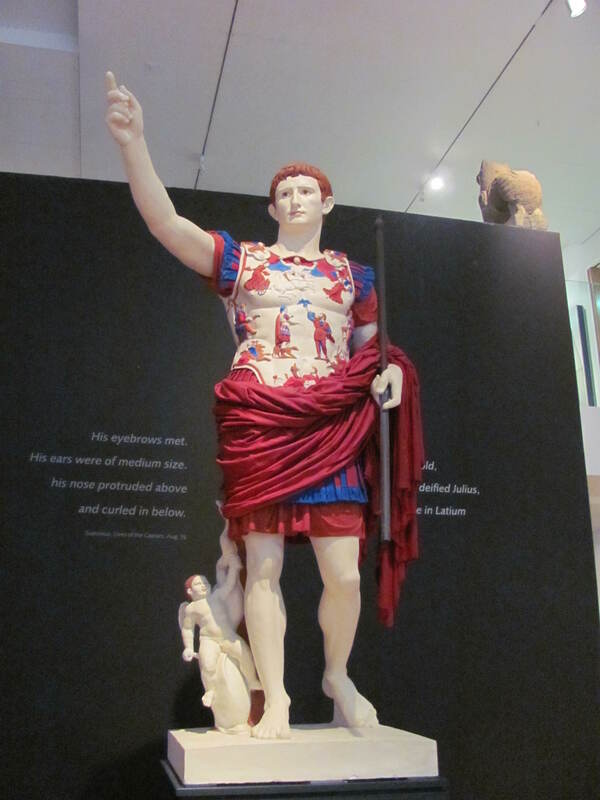 Some similarities, such as St George in eastern icons and his similarity to late Roman images of men killing lions or soldiers spearing enemies, are derived inevitably from the fact that they were born in the same culture, the same world, the same milieu. It also is simply a sensible way to portray the event in question. Other times, I am not so sure that the relationship is that simple and straightforward. In my most recent trip to the British Museum, I saw the very interesting friezes from the palace of Ashurnasirpal II, Emperor of Assyria. Besides including various images of his conquest of his enemies, there were also images that were more … cultic. 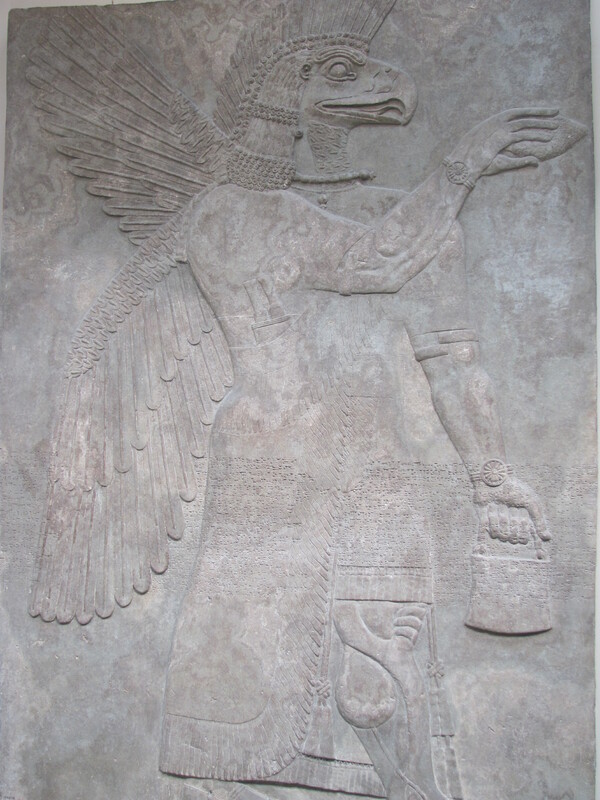 Images of Ashurnasirpal protected by the gods or holding court or displayed in his regal glory or what have you. Now, this image dates from around 850 BC. What I find interesting about it for the purposes of this post are its wings. Why wings? Do not the non-divine spirits — cherubim and seraphim — of the Old Testament (partly written, partly oral in 850 BC, right next door to Assyria) also have wings? Not that cherubim-seraphim and Mesopotamian protecting spirits are the only ancient spiritual beings with wings. Some websites call them Egyptian cherubim. 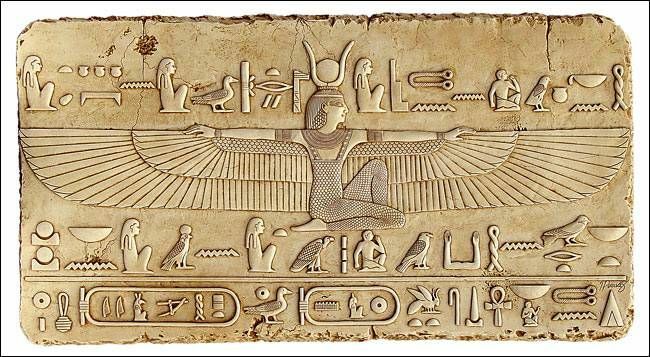 Not knowing the Egyptian language, I will take their word for it; Egyptian (in all its forms, from hieroglyphs to Coptic) is a Semitic language like Hebrew and Arabic. 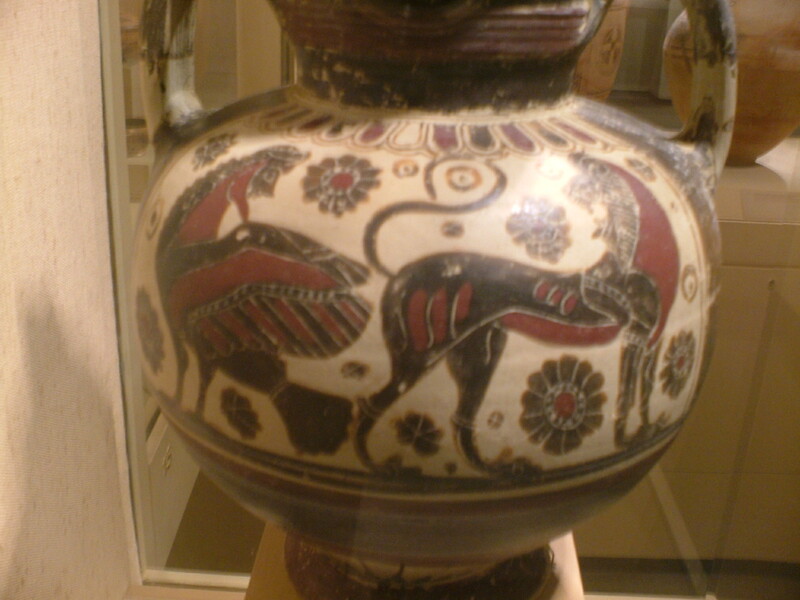 Black vase with a male siren. Museum of Cycladic Art? I think you get the point. In the 1300s BC (and no doubt before), Egyptians were carving ‘cherubim’, in the 850s BC the Assyrians were carving protecting spirits, in the 300-400s (I reckon) Greeks painted a male siren on a pot, in the 2nd century BC the Greeks carved the Victory of Samothrace, in the 1st century AD the Romans carved the Prima Porta Augustus and painted a winged spirit (genius?) on a Pompeiian wall. 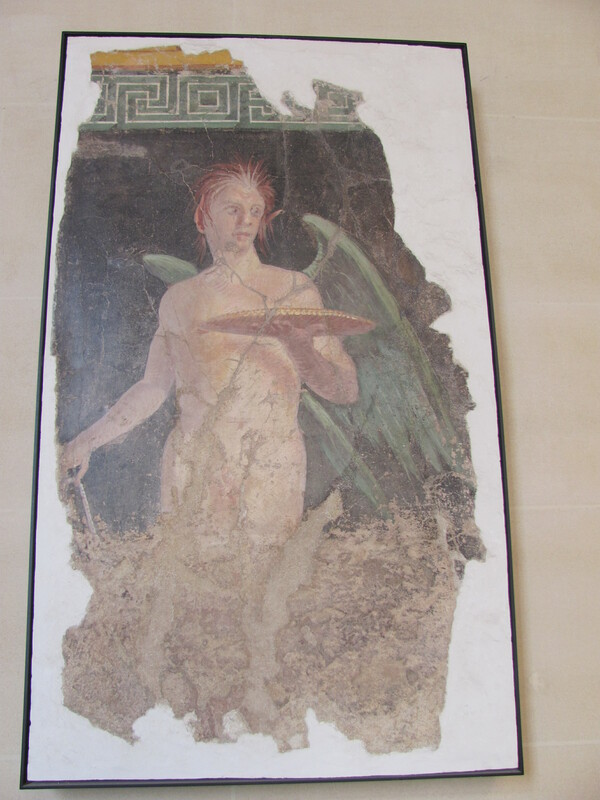 Besides revealing to you what I do on my holidays, these paintings illustrate quite literally my point: winged creatures of a metaphysical nature — cherubim, seraphim, genii, Victory, Cupid — are common to the art of the ancient world. And descriptions of spiritual beings from the Old Testament include wings. Why wings? There are those who will say that they have wings because Israelite religion was influenced by the other Near Eastern religions and cultures next door. If this is true, it is true because the sovereign God allowed the people of Israel to accept those parts of his truth that the neighbours happened to apprehend as well. It is also possibly true because the human imagination is the human imagination. Why do angels have wings? Because we humans imagine them to be light, airy spirits who can fly. And everything we observe in the physical realm that can fly — birds, bats, insects — has wings. Wings are the similarity. But when we do comparative religions/philosophy/art (the comparative philosophy of religious art? ), we must also consider the differences. What makes an Assyrian protecting spirit different from Solomon’s cherubim in the Temple? That we’ll never know. But we can look and see how they differ from Victory who differs from an Egyptian cherub from a male siren from cupid from a Roman genius. 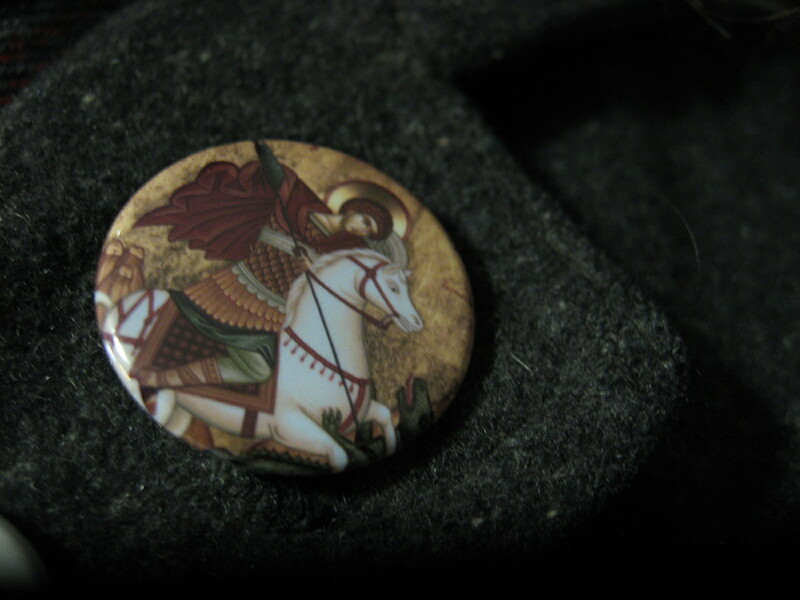 If we look at the Coptic icon to the left, it does not bear very much resemblance to the Roman genius fresco, nor to the many Victories flying through the world. 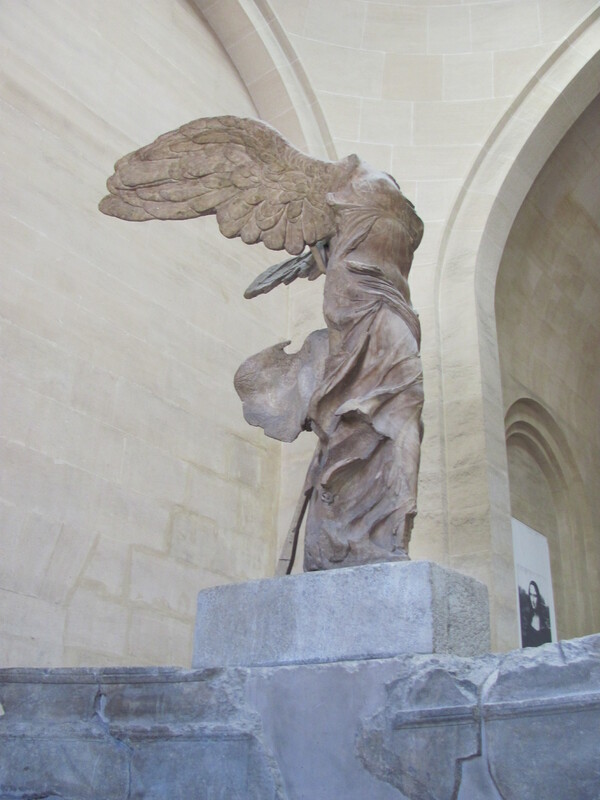 Indeed, the image of the winged angel does not in early Christian art imitate pagan winged creatures as clearly as it will in the Renaissance. We have, for example, cherubim that are naught but wings and heads. 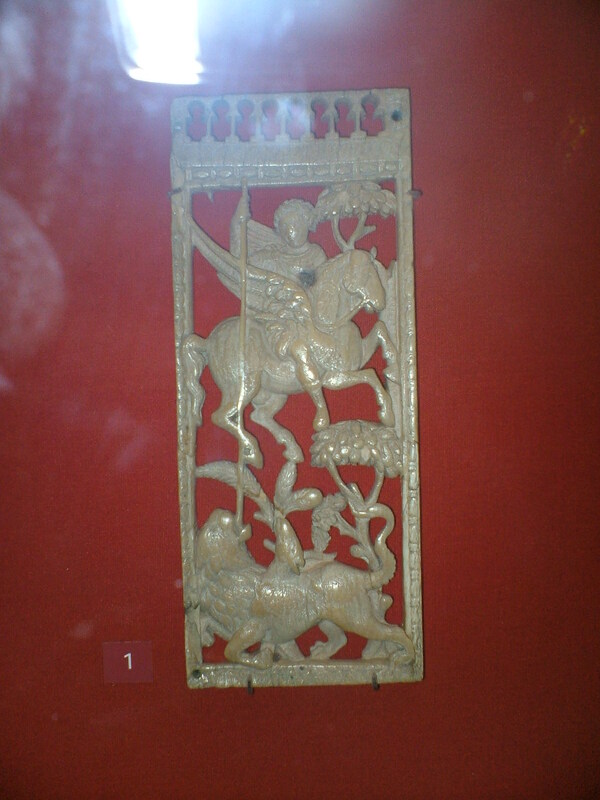 I do not know how old this motif is, only that it is very old. 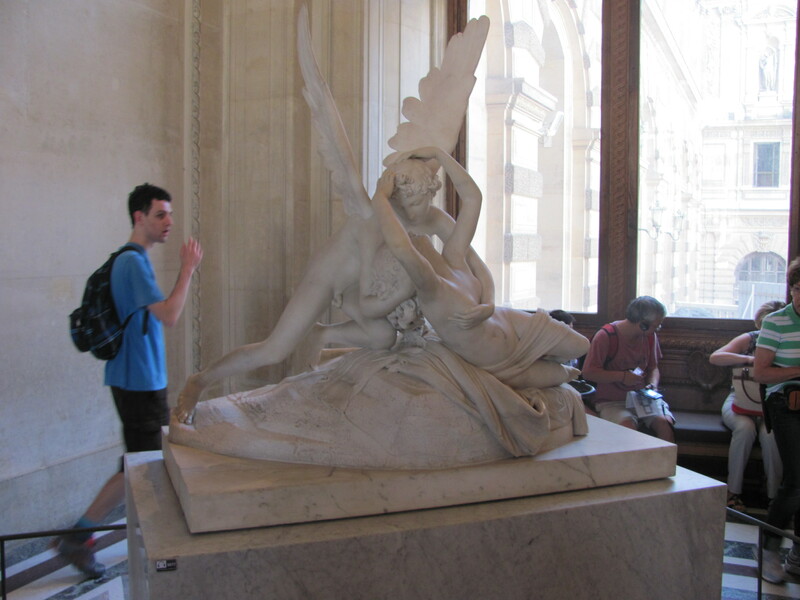 The image to the right is not my own; I seem not to have snapped a single cherub photo! It comes from my friend Fr Ioannis; I do not how old this particular cherub is, unfortunately. However, you can find very stunning, similar images of mosaics in Monreale Cathedral, Sicily, dating to the 1100s. Not that all early Christian icons are bodiless cherubim, but the purpose of our surviving icons has shifted away from much classical art, I believe. This affects the representation of the subject. Most of our images, Eastern as well as Western, come after Iconoclasm, a debate that was live not only in the Byzantine world but in the Carolingian world as well. In classical art, even religious art, the goal was to represent the human form and the natural world as ‘mimetically’ as possible — to capture the essence of a moment, whether buckling a shoe or slaying a bullock. The mosaics, frescoes, and other icons of the Byzantine and Mediaeval worlds, due to the battle over their very existence, are spiritualised images. The theology of the icon has infused its representation. Thus, St Michael the Archangel is not a man with wings, but a spiritual being of great power, as he casts down the devil. 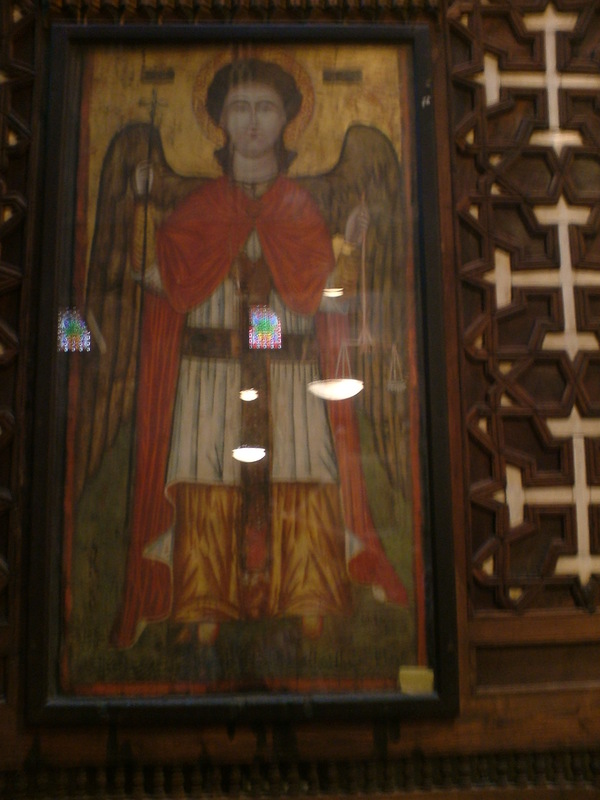 In an icon found at the Byzantine Museum in Athens, he holds a sceptre and an orb. This is not simply borrowing from the world of pagan art by tossing wings on a man. There are symbols here, communicating particular truths about the world. I think the wings are like terms such as hypostasis. They are there in part from the biblical witness that cherubim and seraphim are winged. But they are also there to communicate something to the onlooker in visual terms he/she will understand. Hypostasis takes on a new life of its own in Christian theology, regardless of its previous history in pagan philosophy. But it is used in such a way that the pagan who comes upon the Cappadocian Fathers will have some sense of what they mean when they speak of Christ and the Father as separate hypostaseis, or what St Cyril means by Christ’s hypostatic union. 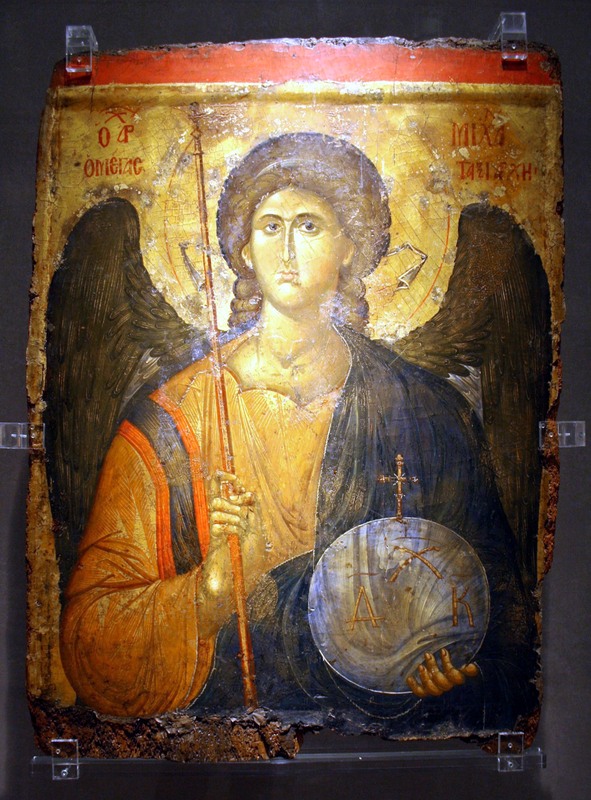 When someone raised in the culture of Victories and Cupids, ofwinged genii, of winged bulls with human heads, sees St Michael the Archangel, if illiterate, the point will come across immediately that this is no man. The being before our onlooker at St Michael is obviously spiritual. And the literate who may not know the Bible who reads ‘archangelos‘ will not be deceived into thinking this a man whose occupation in life had been chief messenger. This is a spirtual being. This is why angels have wings. Not because the beings in reality do, but because we understand something specific about winged creatures. Because when God revealed himself to Isaiah, the Seraphim in the Temple had wings — a visual representation of spiritual beings meant to communicate their difference from us, their ability to travel as if on air, their immateriality. ← Breaking News! Will the Real Hippolytus Please Stand Up? I read this a few weeks ago via an email on my phone (my usual way of reading your blog). But, today, I remembered a small detail I wanted to comment on. Egyptian and Semitic languages are both “branches” of the Afro-Asiatic family. Neither is a member of the other. However, many schools teach Coptic along side other Semitic languages, because of the frequent cultural interaction. Aha! So, Semitic is like ‘Germanic’ or ‘Romantic’, and Afro-Asiatic is like Indo-European? Interesting that Egyptian and the Semitic languages are not actually as closely related as all that; most people treat them as though they were.